Installing Action Utilities | Appracatappra, LLC. Thank you for trying our Action Utilities collection of time saving functions and utilities to solve common tasks across a wide range of mobile and desktop apps. We hope you enjoy using our components and that they become a valuable part of your developer environment. 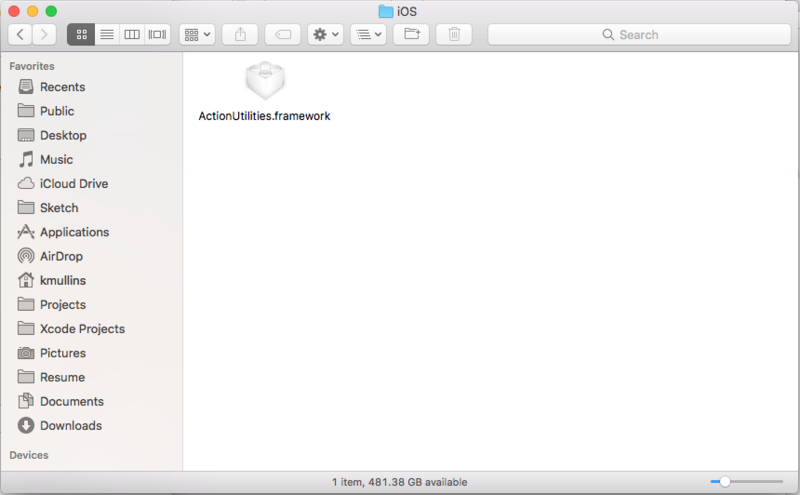 This guide is designed to help you get up and running with the Action Utilities quickly and easily in your own app projects. 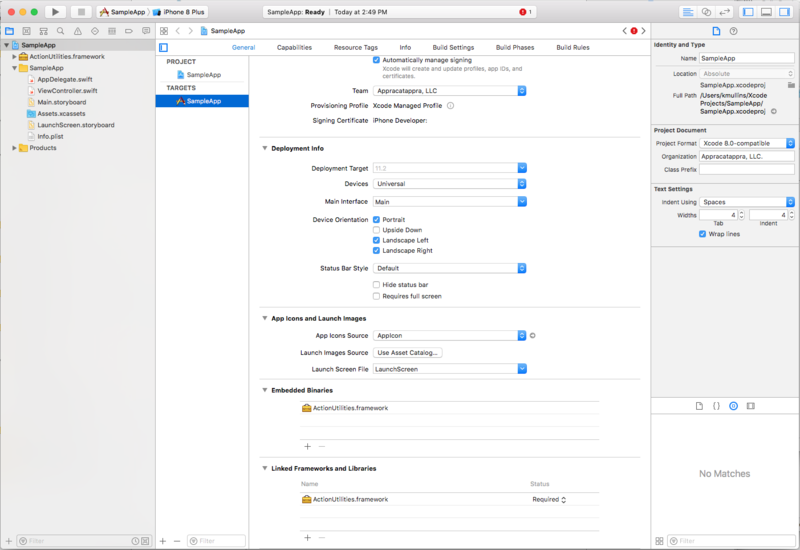 Our components were designed to be quickly added to your app’s project with a minimum of code, making it easy to add high-quality, professional features and functionality to your apps. Open an app project or start a new one. 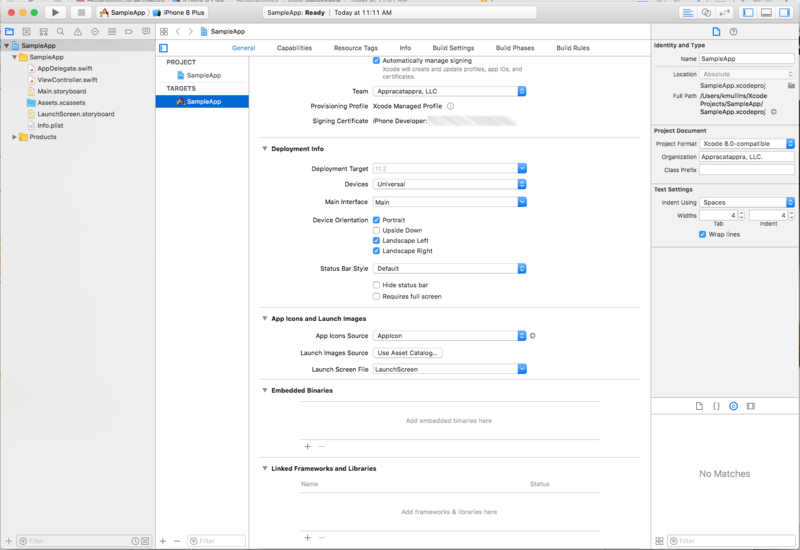 Drag the framework into the Embedded Binaries section in Xcode. The Action Utilities Developer Center was designed to help you get the most out of our developer tools by providing a selection of Articles, Guides, Samples and Quick Start References for each component in the suite.